Flat Stanley (originally a character of a book written in 1964) was a school project for Gavin, the son of my colleague in the United States. Drawings of Flat Stanley are to be sent to different parts of the country by the kids in the class, and the drawings will be photographed together with a landmark. The pictures will then be presented by the kids to the class, as a way of teaching them geography. 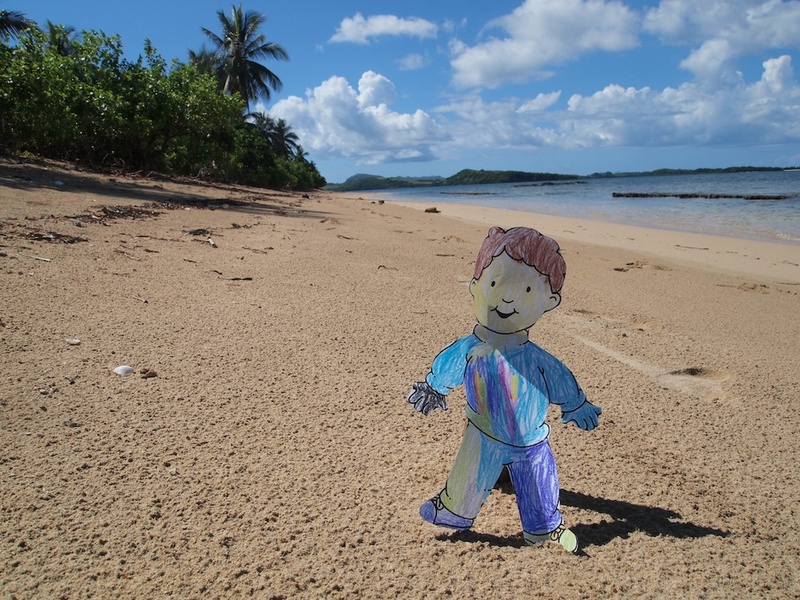 Gavin's was the only one sent outside the United States, to me; here Flat Stanley was in a beach in Caramoan.